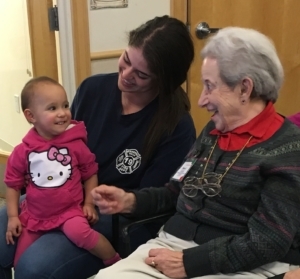 Our award winning JEWEL (Joining Elders With Early Learners) program joins young children and older adults from My Second Home, our on-site neighbors. 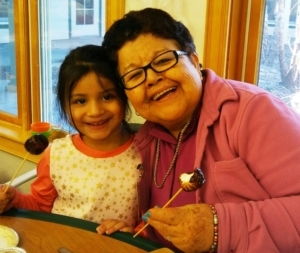 JEWEL is one of just a few shared site intergenerational communities in the Country. 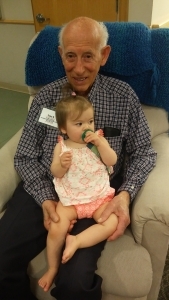 Every day our children and the “grandmas” and “grandpas” from MSH come together in small groups. 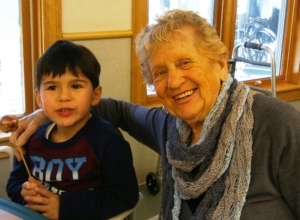 Whether they are drumming, dancing, creating great works of art, reading stories or just sharing breakfast together, these daily interactions between the two age groups are filled with fun, acceptance, and mutual respect. Naturally, all these activities are fully supervised by our teachers and staff from MSH. In 2008 JEWEL was awarded one of the first national best practices awards by The Met Life Foundation in partnership with Generations United. A three year study of the JEWEL program by Fordham University’s Ravizzin Center on Aging was also completed in 2008. The study showed that participation in the program had measureable benefits for both populations. 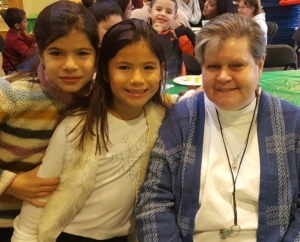 Our JEWEL program brings children and older adults together, making memorable moments and creating an educational experience like no other in Westchester. My Second Home is an affordable community-based alternative to assisted living or nursing home care. MSH is a non-residential day program in a home-like environment with wellness activities, personal care, excellent nutrition, and transportation services. My Second Home is a program established by Family Services of Westchester. Through it, seniors are able to continue to find meaning and pleasure in their lives by establishing new friendships, participating in stimulating activities, and by regaining their well-deserved role as leaders and historians. And they love being with the children!